Size: 15" x 5" x 6"
It took so long for them to ship them that I almost forgot I had ordered them. Then it is advertised that they are Husqvarna brand and there was nothing on the package at all that indicated they were that brand. I cannot believe Husqvarna would have something without their name on it. 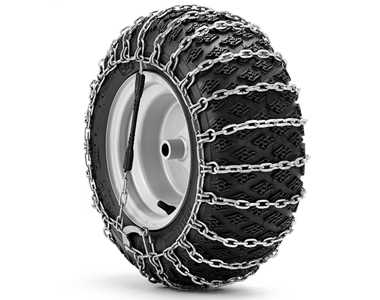 Ask us about the Husqvarna 15" x 5" x 6" Tire Chains. Please no repair questions. Your Q&A may be posted to SnowblowersAtJacks.com to help other shoppers, like you, with their purchasing decisions. Thank you.